MoJo Labs conducts R&D into LED Lighting Controls and IOT technologies, and is developing a Patent Portfolio around those technologies. LED MoJo is a Patented technology that enables advanced LED lighting controls systems. It complements existing wireless protocols by adding an imperceptible visible light transmission system that can enable comissionless LED lighting systems. Moreover, LED MoJo can automatically and imperceptibly measure lighting geometry to enable advanced light quality. LED MoJo is backed by the National Science Foundation. MoJo's Patented Lightscaping system creates the next generation of zoning for LED Lighting controls systems. Using lighting geometry information from LED MoJo, Lightscaping enables smooth transitions of different lighting levels across an architectural space without burdensome upfront commissioning. 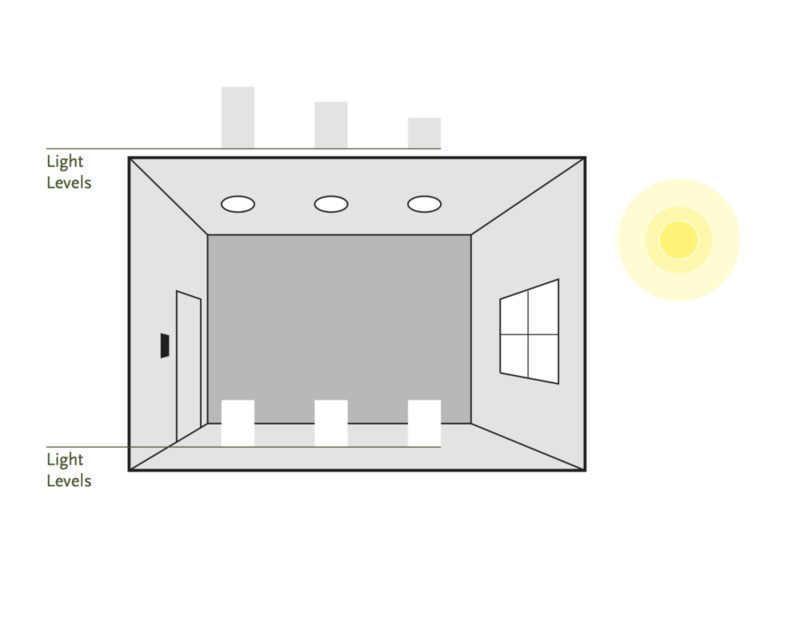 Task To Wall translation is an Patent-Pending technology that enables the control of light levels at a task point in a daylighting system without directly measuring the light at the task point. A utility patent application covering Task To Wall technology is under consideration by the USPTO. Task To Wall is backed by the Department of Energy.